I am basing this post partly on the information covered in the official Microsoft documentation: Getting Started With Key Vault. 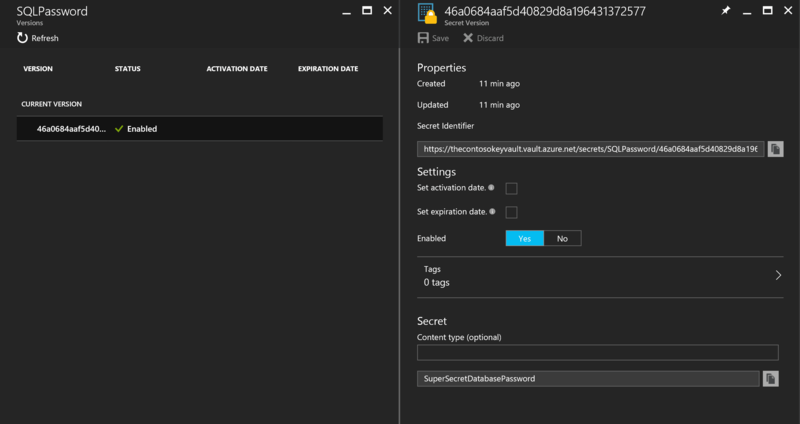 However, I personally found the available information not as clear as I would have liked, so I am writing this post to hopefully help someone else that is just getting started with Azure Key Vault. Also, because I assume that this may be your first time using Azure Key Vault and its related technologies, I will try to be as specific as possible in most instances. PowerShell 5, the scripts might work with version 4 although I have not tested them with that version. 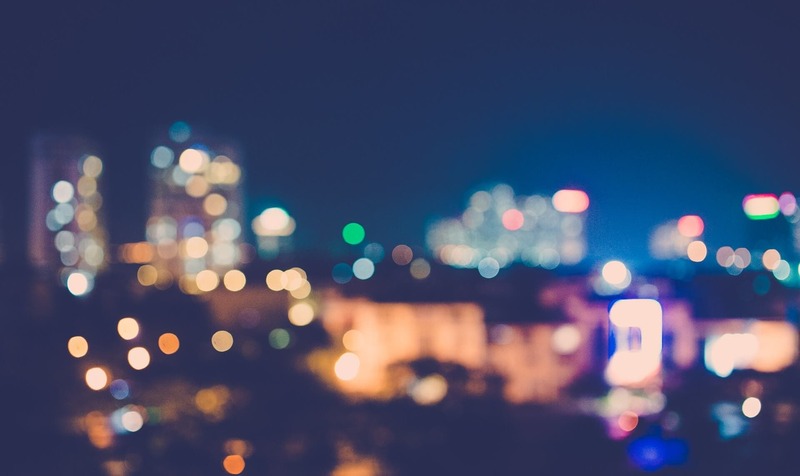 Windows 10 is the OS version I am using, therefore please note that some of the PowerShell scripts mentioned in this post will require PowerShell version 5 and Windows 8.1 or later. The sample Key Vault application provided by Microsoft which will be mentioned later in subsequent posts as code reference. You can download the sample application from here. 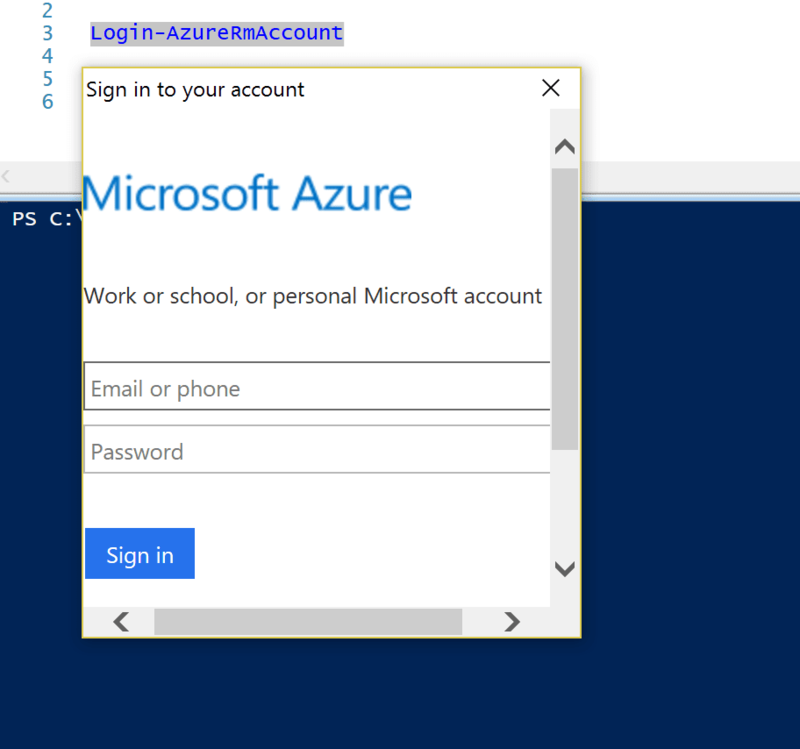 The command requires that you pass in the name of the resource group you created in the previous steps, the desired name for your new Key Vault and the Azure data center geographical location of your choice. 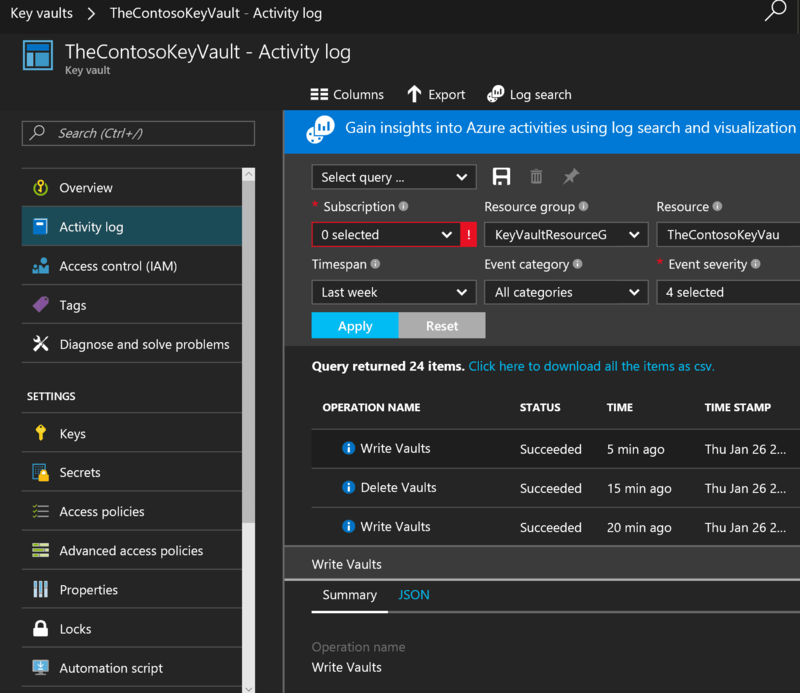 You can even create the Key Vault using the Azure Portal if you like, however, we will stick to PowerShell for the time being since that's a bit faster, simpler to automate and more fun than clicking buttons. Azure Key Vault offers a compelling solution for managing all your keys, secrets and certificates securely and at scale. 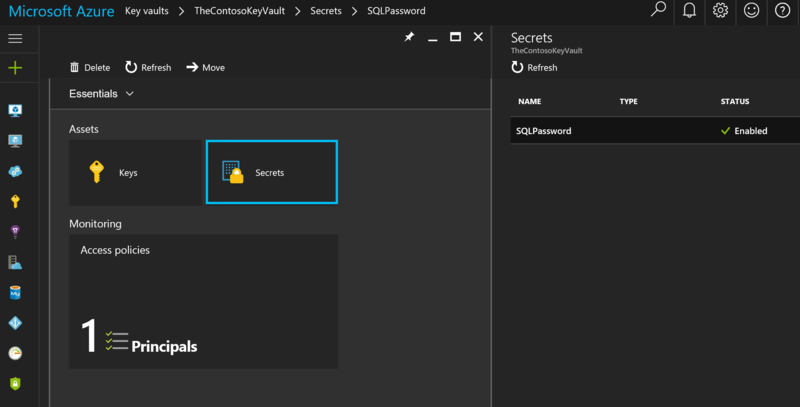 Azure Key Vault builds upon the secure foundation of Azure AD to provide a manageable and automated option for keeping your secrets secure in the cloud. 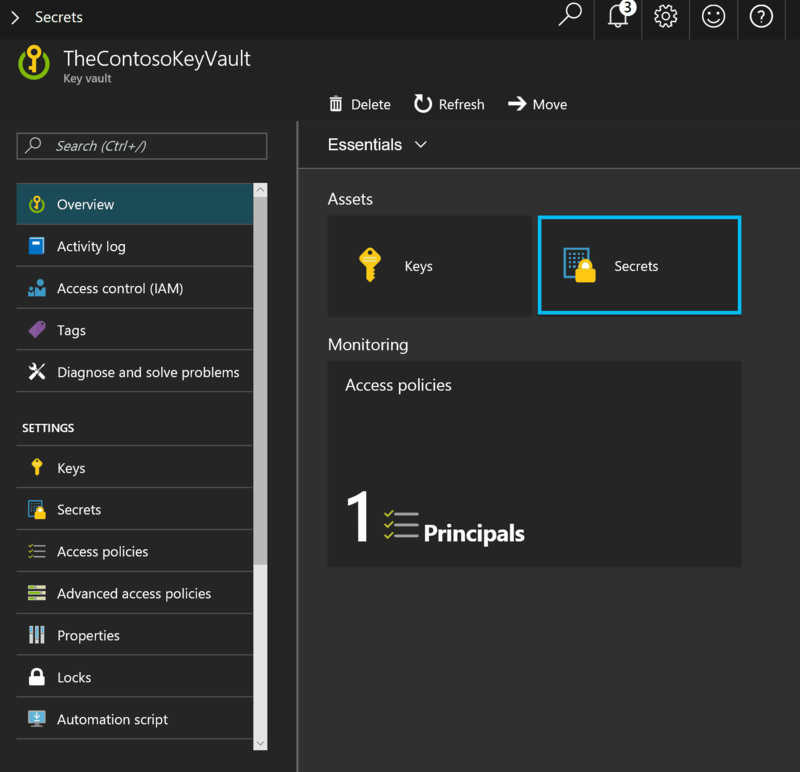 If you are still keeping all your secrets in plain text configuration files or storing your certificates in 'secured' network folders then perhaps is time to take a look at how Azure Key Vault can help you plug those security holes and lock down further your cloud environments. This was just a very high level introduction but hopefully it was useful if you are just getting started with Key Vault. In my next post I will go over the Microsoft code sample for Key Vault and what it does to retrieve secrets from Key Vault that can be referenced at runtime. Until next time, keep your secrets...well...secret, and stay secure!